MWF Advanced Metal is the first commercial plug in to bring light gauge steel engineering to Revit®. Combining Revit® API and our own finite element analysis engine users can now use Revit® loads, local code and custom design criteria to easily engineer light gauge steel floor systems, as well as complex truss systems and individual trusses. 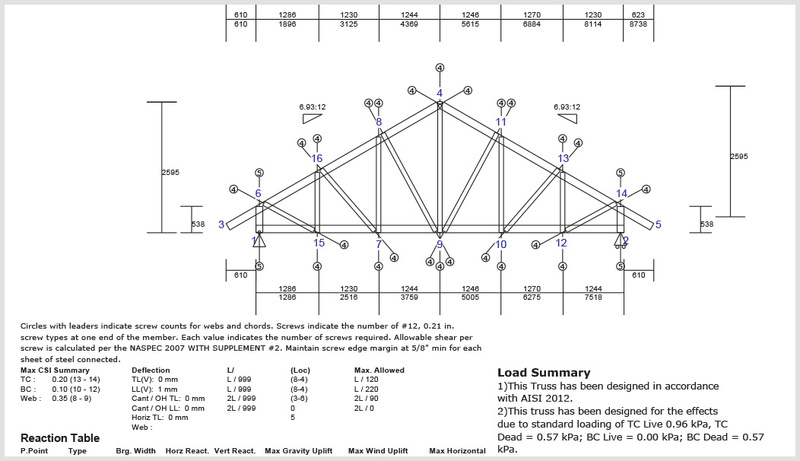 A full set of detailed engineering reports are automatically generated for each engineered truss, as well as fabrication drawings and material lists. 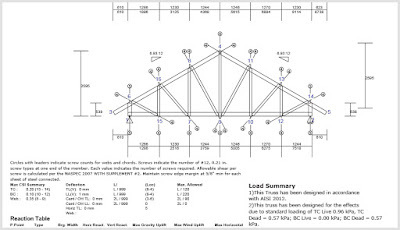 MWF Advanced Metal’s truss engineering interface, supports both AISI-2012 and ASCE 7-10 codes. 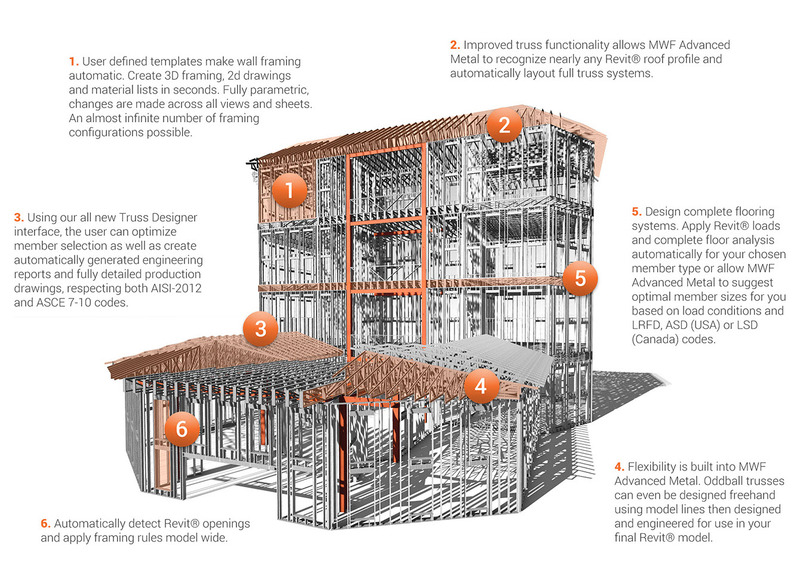 Virtually any truss shape is supported either through automatic detection of the Revit® roof profile or by manual features allowing the user to manually draft truss profiles. Inline, back to back and wall truss configurations are all supported making design versatile and free of constraint. All of the ground breaking features of MWF Pro Metal are included alongside the incredible engineering capabilities of MWF Advanced Metal; automated user defined framing, wall join creation, opening recognition, clash detection and resolution and more. MWF is designed with industry standard in mind; Use your own custom membepr families or choose from our library including most standard member sizes and the most popular light gauge steel manufacturers catalogues on the market. 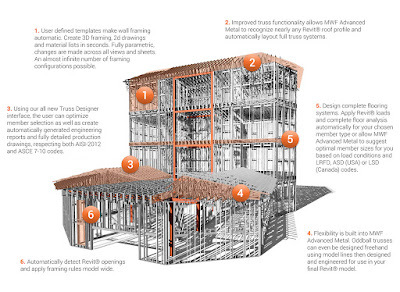 Enhance your MWF experience by adding one of our CNC extensions to automatically output and fabricate your engineered trusses, floor joists and wall panels. These powerful and precise CNC add ons give the user a powerful tool, designing, engineering and manufacturing all from the same model within the same software, minimizing errors experienced from data transfer and maximizing savings from eliminating the need to recreate and redraw into multiple software platforms. There's more information available on the StrucSoft Solutions website.